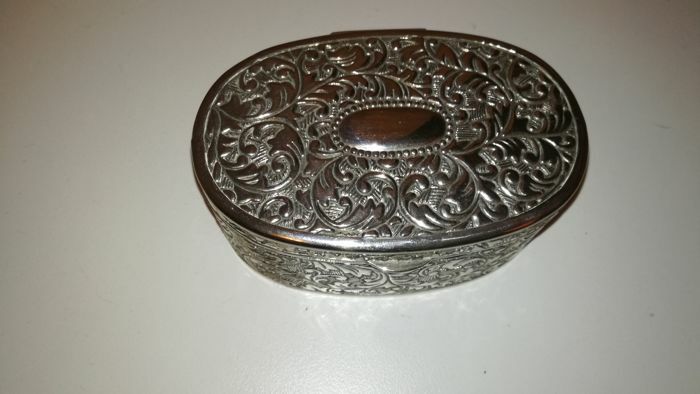 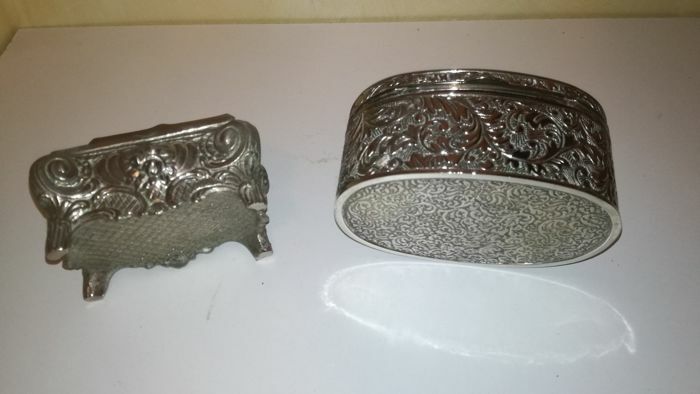 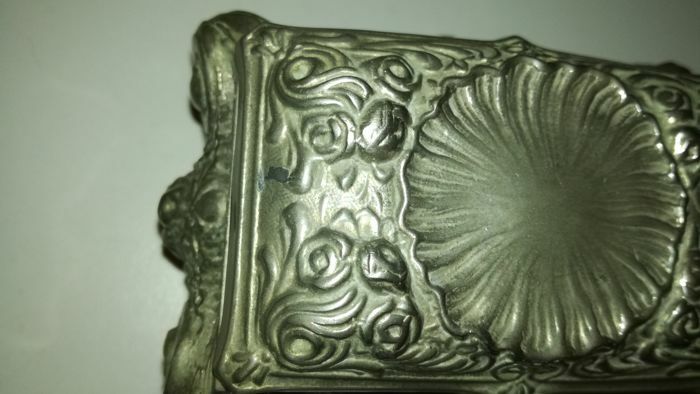 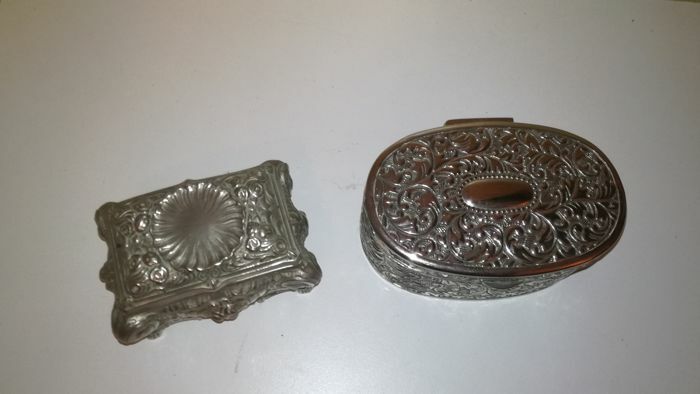 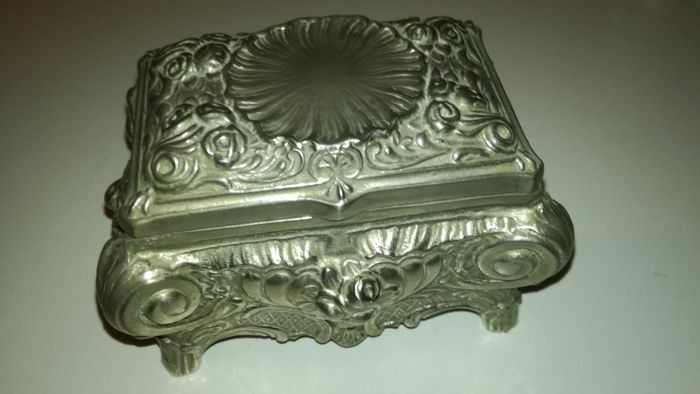 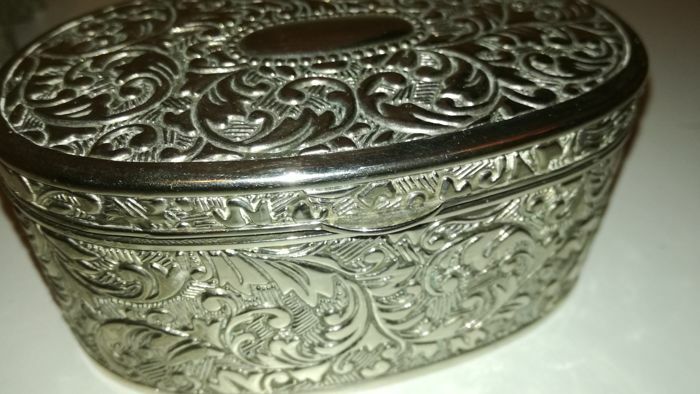 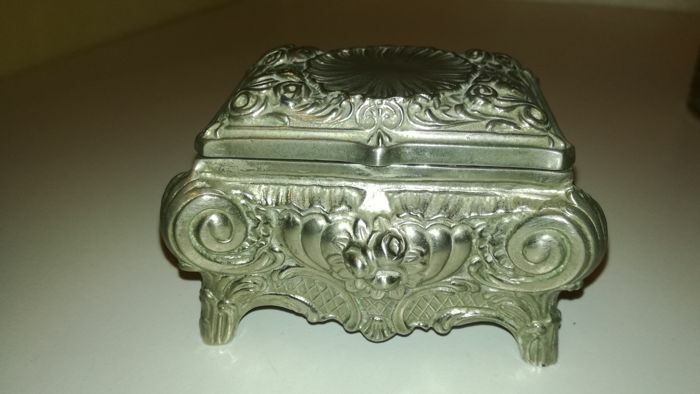 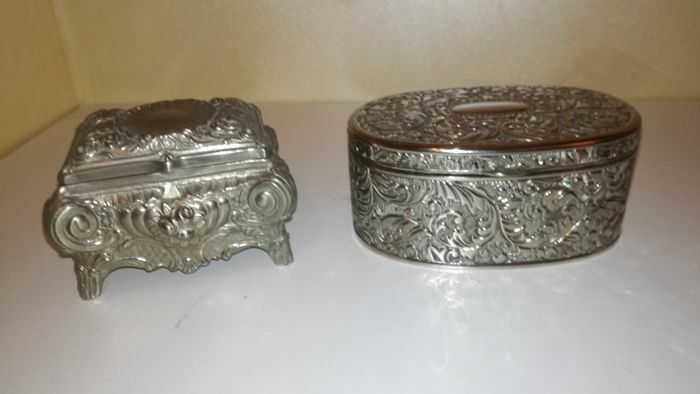 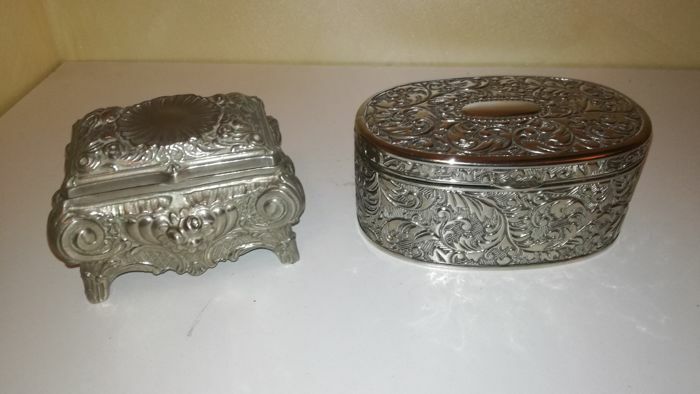 - Very fine silver trinket box. 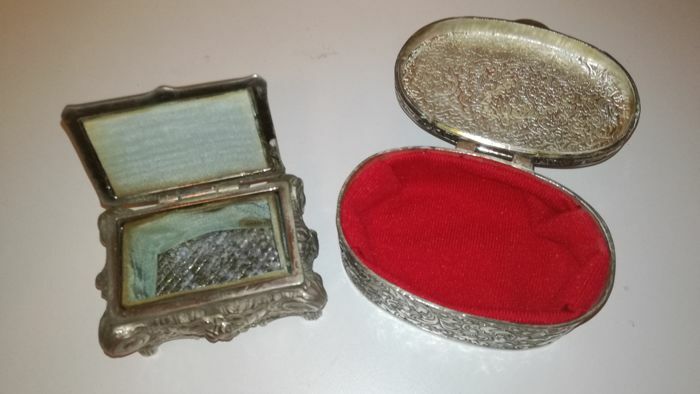 Oval shaped and red velvet lined inside. 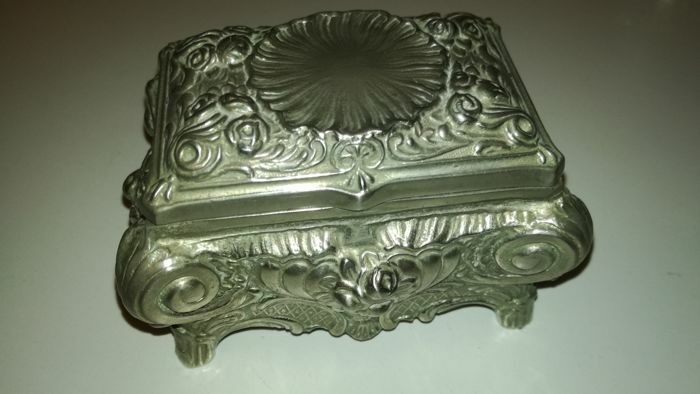 - Embossed and hammered Casket, entirely decorated with floral motifs. 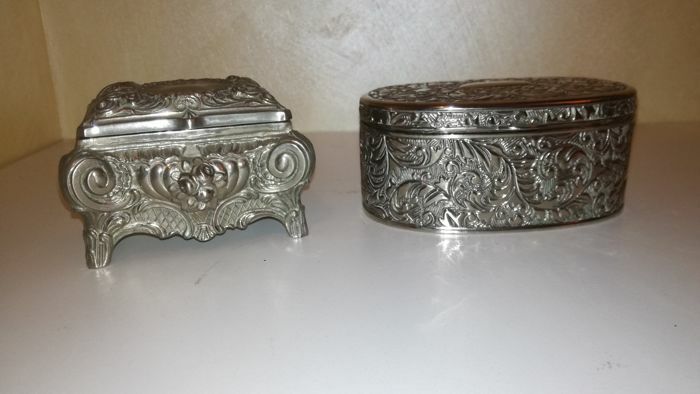 Resting on feet, with hinged lid. 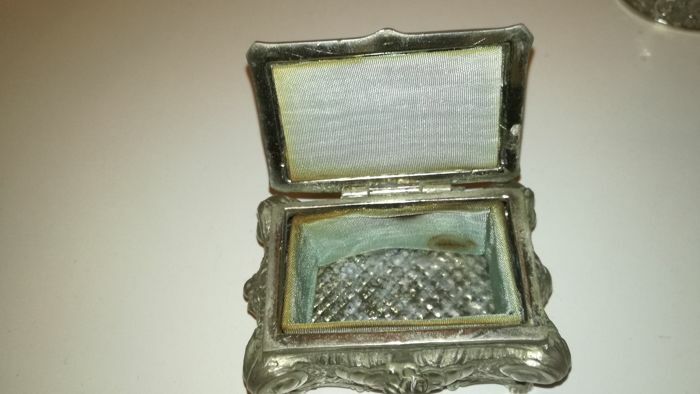 Vintage light blue velvet lined inside. 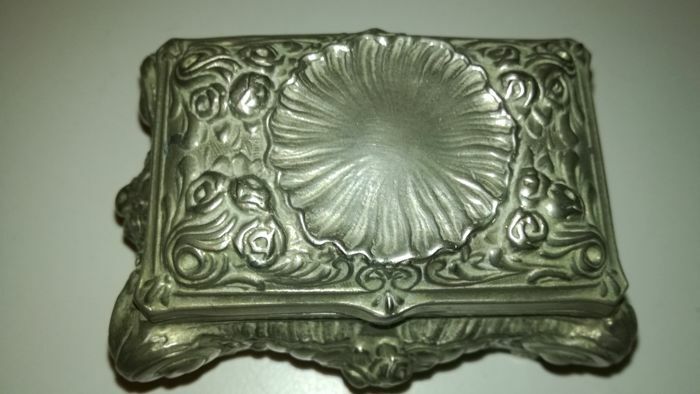 From the Art Nouveau period, early 20th century.